We certainly don’t consider ourselves to be lazy, but we’ll admit we had some hesitations writing this article because of the amount of work it involved. Eventually we went ahead and wrote it, and since we weren’t planning to write an article the size of a book chapter we tried to keep it as succinct as possible. 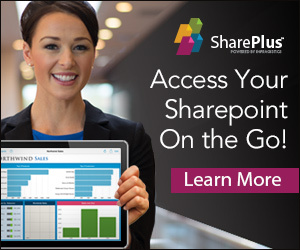 As a down side, this does mean that you, the reader, must possess basic SharePoint 2010 knowledge as well as some WCF knowledge. This article is about using .NET 4 and up (in particular the TPL, the Task Parallel Library) in combination with SharePoint 2010 and it’s object model by invoking several WCF services, so if you’re interested in doing that you should read on. But first this: While we’re on the subject of laziness, for your amusement we took the effort to do some research to find out who in fact are at the top and the bottom of the laziness chain on this earth. As it turns out, the brother of Tammy G is the laziest person in the world because he is 40 years old, has two kids, still lives with his mommy, lets her pay all the bills, and also lets her take him anywhere because he has no drivers license (http://answers.yahoo.com/question/index?qid=20060918224104AAOSnHr). Albeit posthumously, it wouldn’t feel right to give the title of “hardest working person” to anybody else but James Brown. In SharePoint world, it was a bit easier for us to decide. Sahil Malik (http://blah.winsmarts.com/) has repeatedly stated that he’s the laziest person you’ll ever meet (that is, if you stay away from Tammy G’s brother), so he full well deserves the honorary title of being the laziest person in SharePoint world (that, as well as being one of the most talented guys around when it comes to SharePoint). The hardest working individual may just be Mindsharp’s Todd Bleeker (http://sharepoint.mindsharpblogs.com/todd/default.aspx). For SharePoint 2010, we contributed to some courseware he wrote and in order to get things done in time he adopted a US commando life style for a couple of months that only allowed him 2 hours of sleep every night which enabled him to get more work done. It’s this kind of controlled craziness that makes us nominate him for the honorary title of being the hardest working person in SharePoint world. Not the best way of letting you know that the target platform should be x64 instead of x86. In our experience, this is a common mistake for developers new to SharePoint 2010, and although this exception is not really the kind of help one would be looking for, it’s a mistake one probably only makes once. Please note: As our gentle reader will no doubt understand, we would never make such a foolish mistake, we’ve just heard rumors about other people who did it wrong. Although we totally appreciate and understand the fact that because of timelines and stuff it was impossible for the SharePoint team to include .NET 4 support in the object model, it’s annoying nonetheless. What’s more, already this has been a point of confusion for many developers. With the developer release of Windows 8 and .NET 4.5, things become even worse. Let’s just take the improvements for parallel programming in .NET 4.5 (see http://blogs.msdn.com/b/pfxteam/archive/2011/09/17/10212961.aspx): .NET technology keeps evolving at a rapid pace and the developer possibilities in SharePoint 2010 already start to fall behind the curve. I don’t want to be left behind, give me the “Back to the Future” pattern! .NET 4 has lots of features that, at some point, you may desperately want to use. If you really have a compelling case, there is always the option of building a WCF 4 service and call that from a SharePoint 2010 client. This way, you let the WCF 4 service handle the .NET 4 stuff. For fun, let’s call this the “Back to the Future” pattern, based on one of our favorite 80s movies where Doc Brown invents time travel and Marty McFly (Michael J. 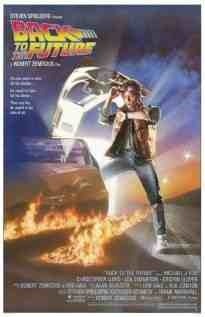 Fox) gets stuck in the past and has to find a way to get back to the future. This is kind of the situation where SharePoint 2010 forces us in so we thought the name appropriate. In the rest of the article we’ll be using .NET 4 parallel programming in a way that based on our performance tests looks to be turning out really well. In this scenario we’ve created a web part that calls a WCF 4 service (which we’ll call the middle tier service) that uses parallel programming to invoke a WCF 3.5 service that runs in the context of SharePoint (we’ll call this one the end tier service). Please note: You can download Reactive Extensions for .NET 3.5 SP1 from http://msdn.microsoft.com/en-us/devlabs/ee794896.aspx. It contains the System.Threading.dll assembly that contains TPL for .NET 3.5. If you’re happy with that version, you could use that instead, but that’s not really the point of this article. What we need is a way that allows us to leverage all TPL stuff, including the new .NET 4.5 features. A visual web part that contains a button that triggers the upload of a predefined set of files located on the server. A WCF 4.0 service (the middle tier service) that leverages the .NET 4 TPL to make sure all files will be uploaded in a way that is much faster than running sequential code. A WCF 3.5 service running in SharePoint context (the end tier service). 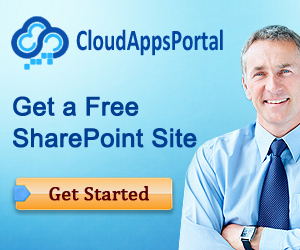 This is the service that eventually is responsible for uploading a file to a SharePoint document library. We’ll discuss these list items starting backwards, ending with the visual web part piece. Create an empty SharePoint project and call it ParallelServiceHost instead of RevertService. Make sure token replacement for .svc files is enabled (step 12 in the article). Deploy everything which causes the .svc file to be copied to the ISAPI folder of the SharePoint root folder. It also copies the dll of ParallelService to the GAC. If not, it’s back to the drawing board for you. Chances are that your server isn’t named “moon”, so just use your server name or “localhost” instead. We have the end tier service in place, a service that runs in the context of SharePoint and knows how to upload files to document libraries. Now it’s time to create the middle tier service that leverages the TPL to upload files in parallel. Start with creating a WCF 4 service. We’ve just named it Upload4Service to indicate that this is the .NET 4 service. Place the Upload4Service.svc in the application folder. Create an App_Code folder and add IUpload.cs and UploadService.cs in it (or create a bin folder and add the DLL to it). There you have it, a WCF 4 service that leverages the TPL to perform some uploading. At this point, a very important take away is that the end tier service operation that is invoked by the WCF 4 middle tier service runs under the identity of the application pool of the WCF 4 service. In our case, this is lc\administrator, which maps to the special SharePoint System Account (SHAREPOINT\system). Make sure that, whatever account you choose to use, it has sufficient rights to upload files to the document library. Create a new visual web part. Now you can go ahead and add the visual web part to a page and happily call the middle tier service to do some parallel task processing. The good news is that if you really need/want to use .NET 4 in combination with SharePoint 2010, you can. The bad news is that it initially requires you to set up an infrastructure to allow for this.